Specifically designed for player comfort, mobility and protection. Hollow tubular steel frame. Up to 40% lighter than traditional masks. 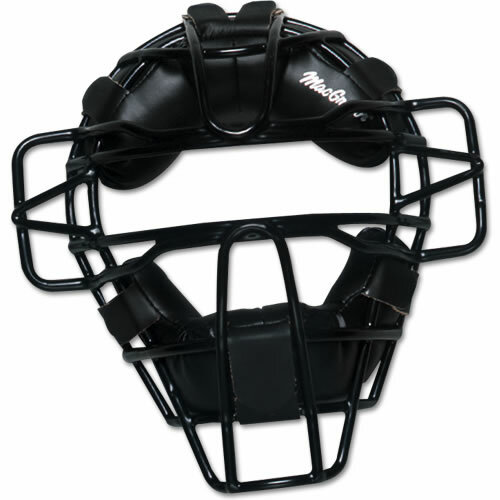 Durable vinyl coating with extended ear and throat guards. Complete with harness. Black only.